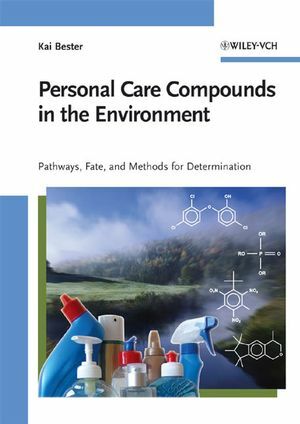 Here, the most important classes of toxic chemicals from personal care compounds are systematically covered, from cosmetics to plastics additives to pharmaceuticals. For each substance, data on toxicity and bioaccumulation in various ecosystems are given. This first comprehensive treatment of personal care environmental toxins is rounded off by a discussion of strategies in wastewater treatment to control and remove these substances. Kai Bester is Professor for Analytical and Environmental Chemistry at the University of Duisburg-Essen, Germany. He studied chemistry at the University of Hamburg, obtaining his PhD in 1995. Before joining the University of Duisburg-Essen, he worked as a post-doc at the Technical University of Aachen and at the University of Dortmund. Professor Bester's primary research interests focus on the environmental contamination by antibiotics, fragrances and flame retardants as well as pharmaceuticals, and their analysis by mass spectrometric methods.